The Simpsons: The 16th Season Comes to Blu-Ray & DVD December 3rd! 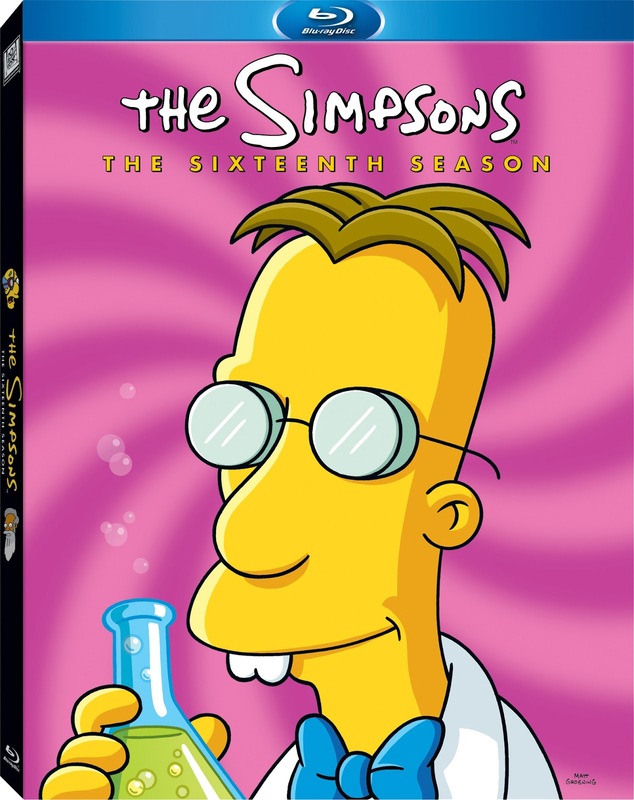 The Simpsons: The Sixteenth Season, is finally coming to bluray and DVD on December 3rd, 2013! I say "finally", because the 16th season first debuted in 2004, almost 10 years ago. If you follow the Simpsons at all, you'll know that it's the longest-running scripted show in television history. As of 2013, it is up to the season's 25th season (it's season premiere was on December 17, 1989)! The show is an animated series that is targetted to teens and adults, as the humour can sometimes take on a mature tone. Season 16 of the The Simpsons includes all 21 hilarious episodes, tons of meticulously slapped together special features, plus a veritable who’s who of celebrity guest voices, including Fantasia Barrino, Jason Bateman, Gary Busey, James Caan, Stephen Hawking, Eric Idle, Jane Kaczmarek, Lucy Liu, Liam Neeson, Amy Poehler, Ray Romano and many more! The movie collection runs for over 8 hours too! 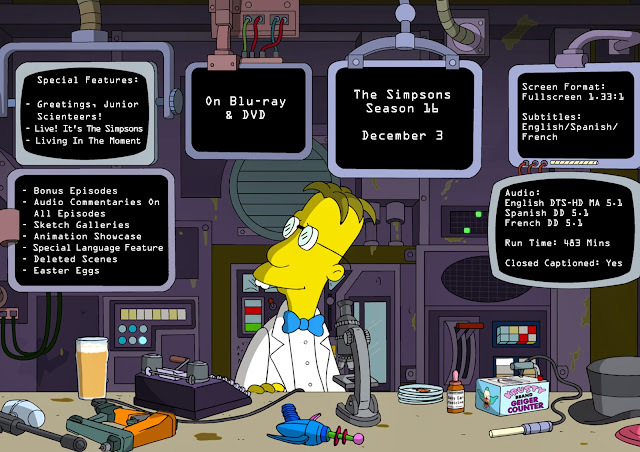 What Do You "Frink" of the Simpsons Sixteenth Season? WIN The Simpsons: The Sixteenth Season on Blu-Ray from SnyMed.com! 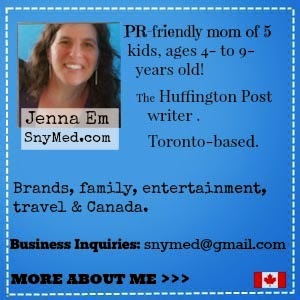 Contest open to both Canada & the USA, and ends on Monday December 23rd, 2013. Winner please note that prize will not likely be shipped in time for Christmas. Thank you for your understanding. Leave a COMMENT below stating your favourite The Simpsons character OR episode OR who you'd love to WIN this for! Then, use the entry form, below, to enter the contest. GOOD LUCK! My all-time fave Simpsons character is Moe. Thanks for the great offering. We laugh so hard at Mr.Burns! I can't get enough of poor Millhouse! I would love to win this for my brother who is addicted to the Simpsons! I'm love to win this for myself, husband, and teenage son. My favorite simpsons character is Homer. He's so dopey and funny. D'oh! Homer is always the funniest. Love to win this for my niece. I like Lisa the best. She comes from a dysfunctional family but is quite smart and level headed. I would love to win this for my sister! she's a huge fan! - A.T.
My favorite character is Smithers, because he is kind of ambiguous. I would love to win this for our family. i would love to win this for my son and nephew, thanks! I would love to win it for a friend. If I won this contest I would give the prize to my 19 year-old brother who religiously watches the show. His favourite character is literally all of them. He watches the show every night in his worn out fleece Simpson's pyjama pants! Bart I the character I like because act like my son. I am sorry to say. I'd love to win this for my brother in law. I really like Lisa and also whenever Sideshow Bob is in an episode. I'm not a fan but my sons are, so depending on who's been nicest to me ;-) we'll see who gets this if I am lucky enough to win. I like that cute little Maggie the most. Definitely Moe. Anyone remember the lie detector scene from the Springfield Files ep? Favourite Episode would be Monorail or Dental PLan episodes! My instinct for favorite character is Maggie; especially when she is in her winter coat shaped like a star! My husbands is Bart because of all his antics! I'd win this for my brother, he's a huge fan of The Simpsons. My favorite The Simpsons character is Homer.